We field many questions about which SweatHawg product to choose. We hope these descriptions help you make your decision. We’d say you can’t have too many Hawgs, so feel free to buy more than one style! This is SweatHawg’s take on the most popular, ubiquitous, and versatile sweat-and-hair management headwear format. Our combo of aggressively wicking and aggressively absorbent fabrics sets us apart from the crowd. Stretchy with hook and loop closure means one size fits most. These are popular with cyclists, runners, gym rats, climbers, yogis, walkers, skaters, gardeners, you name it. What can’t you use a headband for? There may be a conflict at the back with certain helmets, where the back of the helmet may push on the overlapping closure. Tight helmets may be over-tightened by the double thick X2. 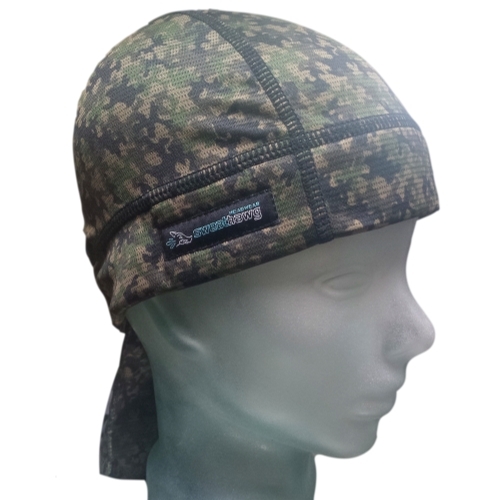 The skull cap is another common headwear format, redesigned by SweatHawg for serious sweat management with hyper absorbent materials up front. 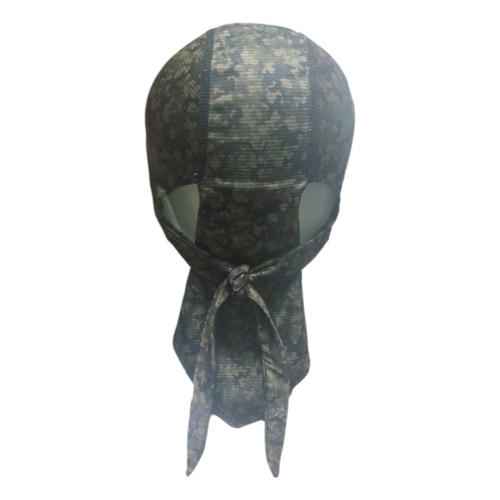 Works great as a stand alone or under a helmet, especially helmets with face guards. Face guards challenge the easy use of our helmet liners, making the skull cap the better option. There’s a long list of common users: motorcycle riders, football, lacrosse, and hockey players, cyclists, motor sports, downhill and skate skiers, pretty much anywhere you might use a headband, but want some extra sun or wind protection. Great for hot kitchens too. Skull caps come in single and double thickness (X2), the double being designed for humid climates. But if you know you are a double-heavy sweater, X2 is for you. Singles work fine for most. If you use it with a tight-fitting helmet, a double may be trouble. 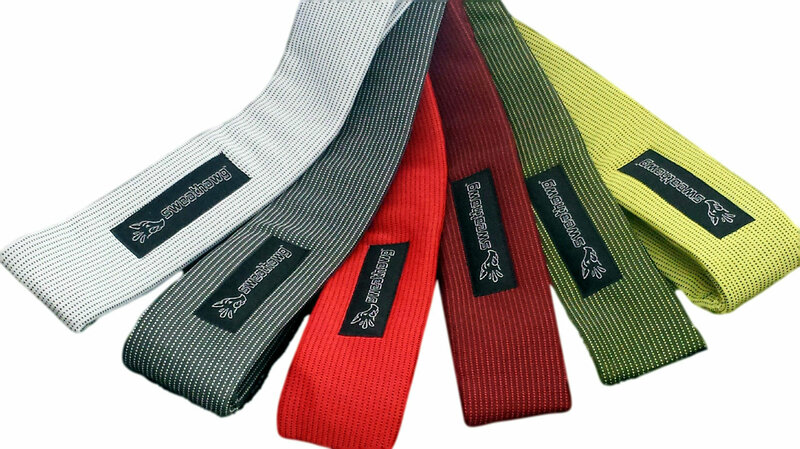 SweatHawg’s take on this critical accessory was designed around a standard 4-point suspension system, and fits in a 5” wide gap and around a typical 1.5” plastic brow band. They work in any hard hat, welding helmet, or face shield with this size gap and strap. The other popular option for this crowd is our skull cap, single or double absorbency. 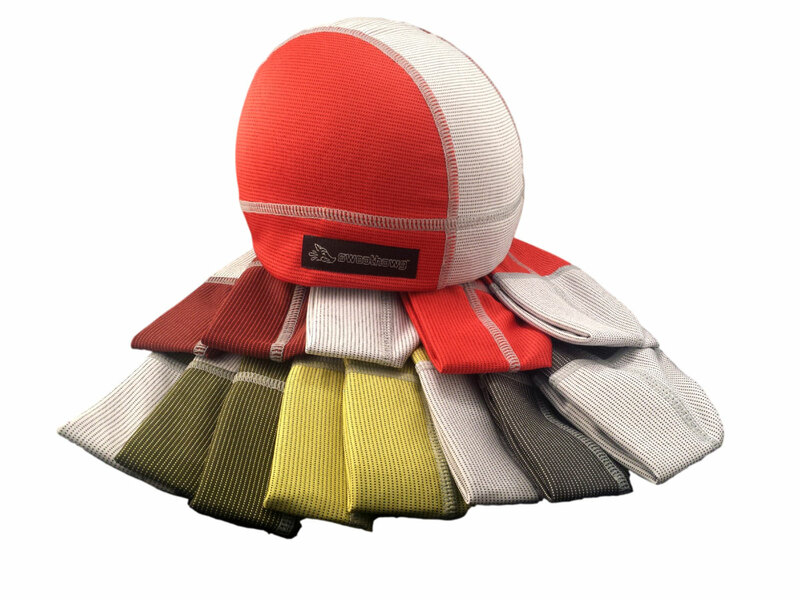 Technical fabrics make the SweatHawg hard hat sweatband a clear winner. The competition is commonly cotton, which simply saturates and drips. Two thick layers (50 sq. Inches each) of aggressively absorbent fabric absorb and disperse sweat. These are wrapped with lightweight aggressively wicking anti-microbial bamboo. The clamshell design with hook and loop closure is simple to install or remove. Some brow bands have padding that may have to be removed. Laundered regularly, these last for years. Forget sweat, finally! Designed for cyclists, this was SweatHawg’s first product. Great for cyclists, of course, but also great in any other simple open-face helmet. Skiers, skaters, mountaineers, rock climbers, motorcyclists, etc. Passively secured; hold the helmet liner in place in the helmet, lean forward, put your head in the helmet. A face guard makes this process difficult, so helmets with a face guard need a skull cap instead. We have customers who put these in ball caps, and it can be done, but we think the cap insert is a better option. 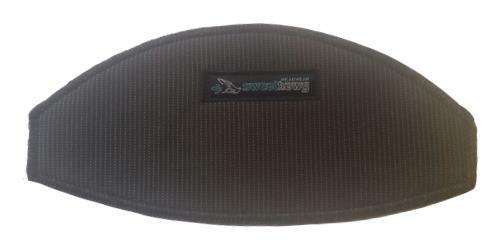 Helmet liners come in single and double thickness (X2). The double was designed for humid climates. Regardless, if you know you are a double-heavy sweater, this is for you. Singles work fine for most. If your helmet is a really tight fit, a double may be trouble. 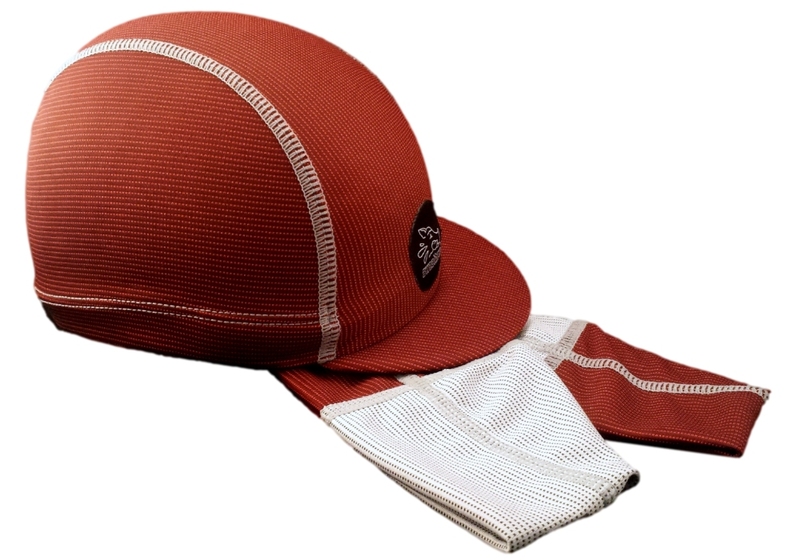 The SweatHawg cycling cap is essentially a skull cap with above-the-ear head coverage and a modest bill up front. This was designed for cyclists as a cool lightweight alternative to the traditional warm heavy cotton caps. Sun protection for the top of your head, absorbent/wicking sweat control, and some shade for your eyes. The bill can be flipped up out of the way. For cyclists they are great on the ride, and great in the bar afterwards as well. No sweat, and no helmet hair either! Primary users are cyclists and runners. Triathletes like them since they are a great choice for both the ride and the run. Theoretically these are a good choice for anyone looking for head coverage, sweat control, and eye shade. The SweatHawg cap insert is our unique take on sweat management in a ball cap. We developed the cap insert upon discovering that some of our customers were stuffing helmet liners in behind the sweatbands of their ball caps. The cap insert is more effective, much easier to use, and a great accessory to any ball cap that has an open sweatband at the front. Most do. The cap insert keeps dripping sweat from eyes and glasses, and takes up a lot of the sweat that would otherwise be saturating and staining the cap itself. Other uses. 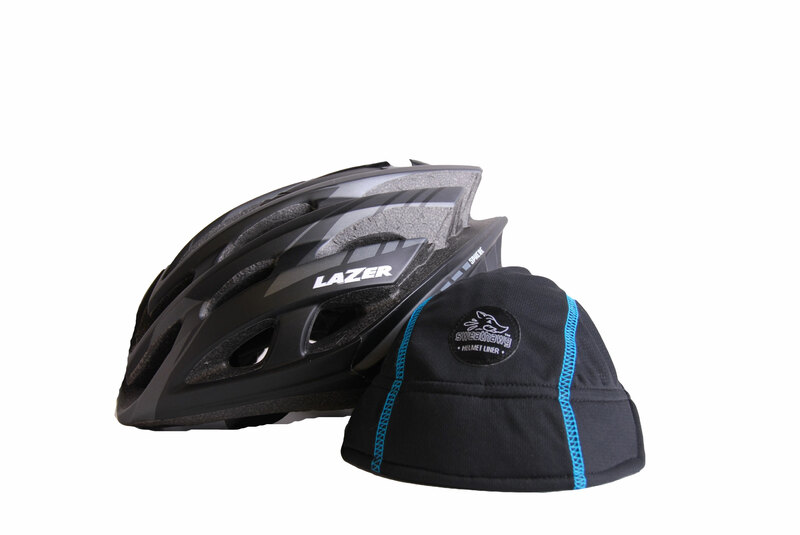 We have sold these to cyclists who don’t want the sun protection of the helmet liner’s top “drape”, only sweat control. Cap inserts can be used in a helmet just like a helmet liner: hold in place in the helmet, put the helmet on your head. It stays where you put it, held in place by the snug helmet.